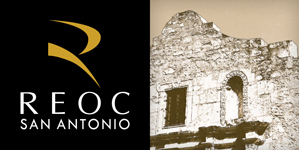 Adam Berlin provides office project leasing and tenant representation services to select clients of REOC San Antonio. Adam began his career in commercial real estate in 1981 and has been practicing in San Antonio for the last 36 years. In 1987 he joined REOC San Antonio's predecessor, Alliance Management Services. Responsibilities included project leasing and tenant representation services as well as direct supervision of all leasing personnel for a portfolio in excess of 4,400,000 sf consisting of office, retail and industrial properties. Adam was promoted to his current position in 1994. For 16 years Adam was the sole project leasing agent for an office portfolio consisting of close to 1,000,000 sf on behalf of institutional client CPS Energy. The portfolio occupancy rate during Adam's tenure with CPS averaged slightly over 93%. Over the course of his career, Adam has consummated over 1,000 lease transactions for approximately 2,800,000 square feet representing a dollar volume in excess of $200,000,000. Adam's clients appreciate his integrity, his experience, and his strong attention to detail. Clients benefit from his well developed analytical skills, technical expertise and results oriented approach, all of which are fully employed on each assignment.